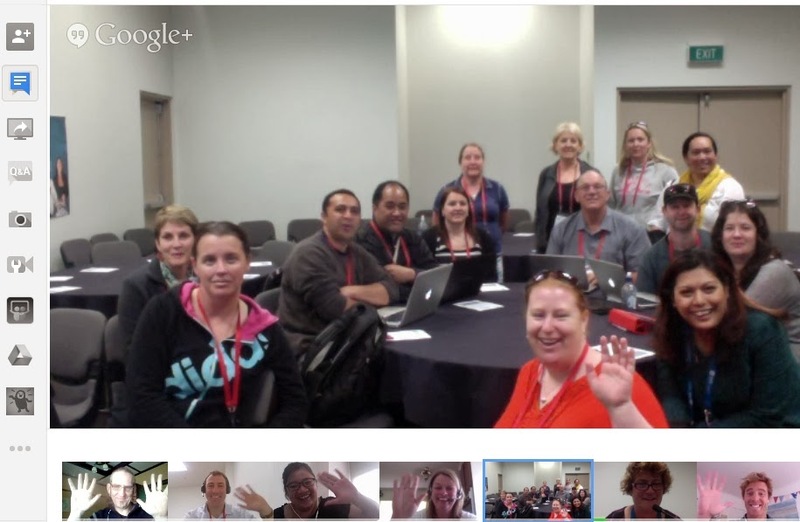 Recently I attended the GAFESummit North Island sessions held at Albany Senior College. Last year we had 6 teachers attend the summit from Newmarket School and when we returned we moved very quickly as a school. As a staff we embraced Google Apps for Education and all planning became collaborative as we moved into the transparent environment. Each team had folders and a site. But the changes really took place this year as team leaders took control of their team sites and team blogs. Each team member had full ownership rights to both. I watched with pride as the learning spaces evolved and the speed at which information was shared with both teachers and their students. Then this year, I had three teachers and myself accepted to present at the 2015 Gafesummit. As their mentor, I felt huge pride at the process each teacher underwent to prepare and then present in front of their peers. They had fabulous feedback via Twitter. I was away for the week leading up to the summit and the team got together in my absence and practiced a run through. They gave each other feedback. The experience enabled them to tweak their session and step through what they wanted to share. The practice session also enabled them to share ideas and identify how they could make their presentations even better. I have been at Newmarket now for nearly 6 years and I have seen the growth in professional learning blossom as our school leaders and teachers move into making their own learning visible. Myself and the management team have recently returned from an international conference and the trip confirmed that we are well on the way with what we are doing with our teachers and to continue encouraging and developing them as leaders in education. I have identified that we need to provide further opportunities for collaboration outside our school. Each teacher has a Twitter account, they are all on the VLN and they all have their pond account activated. As they continue to make connections with educators outside our school I know that this will continue to have an impact on their practise and thus affecting the learning for their students. How do we find the adjacent possible in our classroom? Myself I shared the TeachMeetNZ project and also took an advanced youtube session. I use youtube to mentor teachers and as a platform for them to share their learning. Here are the slides to my session ‘GAFE 2015 TeachMeetNZ’. Here is my video introduction for my advanced youtube session. For the past few months I have been working with a group of educators globally as we fine tune our learning about being connected educators in a global setting. One way of coping as an online learner involved setting up a page on my SandBox Wiki and dumping all the links that flew at me. This included any contact information and all the important pages. This page helped me hugely and allowed me to quickly access anything I needed. There might be a better way of doing this but I coped regularly by reverting back to what I know. TeachMeetNZ TMSydney combine effort -seeing how I would cope staging a synchronous global event that involved a close neighbouring country such as Australia. 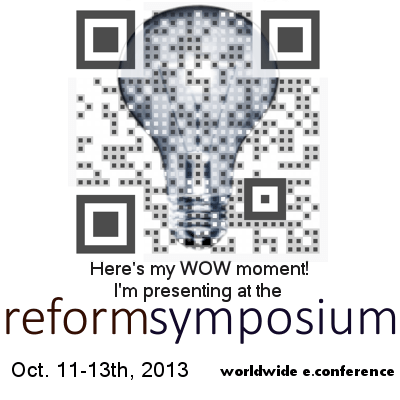 Taking part in the Global Educators Conference – sharing my learning as part of a team. Creating a media artefact for our Team Wiki around gaming and collaborating with JulieC on our contribution. There have been 5 of us in the Flat connections cohort. @julieswords1 @AnnRooney6 @mblanrun @BonnieHermawan. We come from four different countries and have time zones as one of our biggest challenges. To address this Julie Lindsay @julielindsay our mentor uses Timebridge to coordinate an agreed time between us. Between us we have a combined level of expertise that is astounding. Julie uses Fuze which is a free online video meeting service to communicate with us synchronously. This works like elluminate but appears to be more stable. However I am unsure if this can be live streamed as I have had a play but need to learn more about this great tool. For our current assignment we were asked to work collaboratively together on a common theme and create a video artifact. We were asked to use our team wiki to create all our notes and learning. One huge learning from me this week was that I can copy and paste directly from a google doc straight into the wiki and all my images tables links etc all come across beautifully. The only challenge is the photos need resizing but it is easy in a wiki, because I can just drag across. I should have done that at the start of advertising my google hangout. I was focussed on trying to pull the group together quickly for a hangout and resorted back to what I know which is twitter and google docs. A second learning was coping with the time zones particularly as I was coordinating the hangout and I used World Time Buddy because this is a tool I have used before. I learnt that there was a half hour time difference between my two Australian Colleagues. I sort of had already guessed that there might be. In New Zealand we have no time difference between any city because of our small size. As I prepare for a collaborative project with our sister school in China I need to take into consideration the Great Firewall of China that blocks twitter, Facebook, Google and recently Instagram. I am aware that several schools and local citizens bypass the wall using a different system. But in China this is an illegal activity. I could have directed the current cohort to the Team wiki and I could have used the Flat Connections Ning for asynchronous communication. There is no way I can use a hangout with our sister school but we can use skype for school as this gives us a similar number of access if I brought in several classes to work with our school. I could screen cast a skype session but that would bring up legalities about capturing images with minors. After the Google Hangout session was over I realised that I could have had each team member share their learning around our recently completed assignment and I could have had them create a single slide about what they had learnt. I could have then given them the second lesson of sharing their own screens and they could have talked about what they have just completed. I underestimated abilities and I could have covered a lot more in the session. Even though most of my global colleagues were new to a hangout, they are not newbies to collaborative tools. Instead I wonder if they would be willing to join me again in a follow up session and give a brief reflection of their learning as being part of FlatConnect Global Educator 14-2 group. We could use the same idea I do with TeachMeetNZ project and I would wiillingly cut the video so that they could have a reflective page on our Team’s wiki. Where am I up to? I need to interview a teacher gamer and complete my part of the collaborative assignment, create my slides about our sister school project in preparation for our final session with Julie and count down to our summer holidays as we only have two weeks left of school but there is still so much to do. WOWEE, I have also just learnt that I can copy straight from a Goole Doc into the Ning too. Even better I just spotted the editing tool for corrections and even better the HTML tool for embedding. This post is cross posted to my page on the Flat Connection’s Ning. Connected Educator Month has been and gone here in New Zealand. The vision of the New Zealand team was for educators to strategically access, collaborate and share across national & global networks to inform schooling designed around students’ needs and strengths. As I look back over the past few years, this is the third year that I have been part of Connected Educator Month. In 2012, I was lurking and watching what was happening via @JulieLinday’s tweets. In 2013 I lead a Global Chat Sharing Stories of our Global Connections with #GlobalClassrooms. I attended a few online sessions run using Blackboard Collaborate. At Newmarket School I am conscious of giving our teachers and our students the same opportunities that I have been a part of. So as I read the Ministry of Education Future-focused learning report, and Core Education 10 Trends in particular Trend 8: Global connectedness I am looking to 2015 and have identified how we can ‘effectively connect, communicate, collaborate and co-create across classrooms.’ I have been given the task of designing an EFL experience for learning using a global focus and I am excited at the possibilities. I have been learning so much from the #FlatConnect course and credit Julie for exposing my thinking to ideas that I had not even thought of. I will be using some of those ideas in my design. At SOLOtaxonomy design is extended abstract thinking. I am thankful that I have been part of Connected Educator Month and have created learning opportunities for teachers because now I can bring those ideas back and inform my school and design the learning opportunities for our staff and children based on their needs and strengths to connect and collaborate at a global level. This year Karen Melhuish Spencer @virtuallykaren approached me and asked if I was interested in aligning one of the TeachMeetNZ sessions into the Connected Educator Month. I already knew about Connected Educator Month so of course I said yes and I would run the first session earlier in the month than I had initially planned. 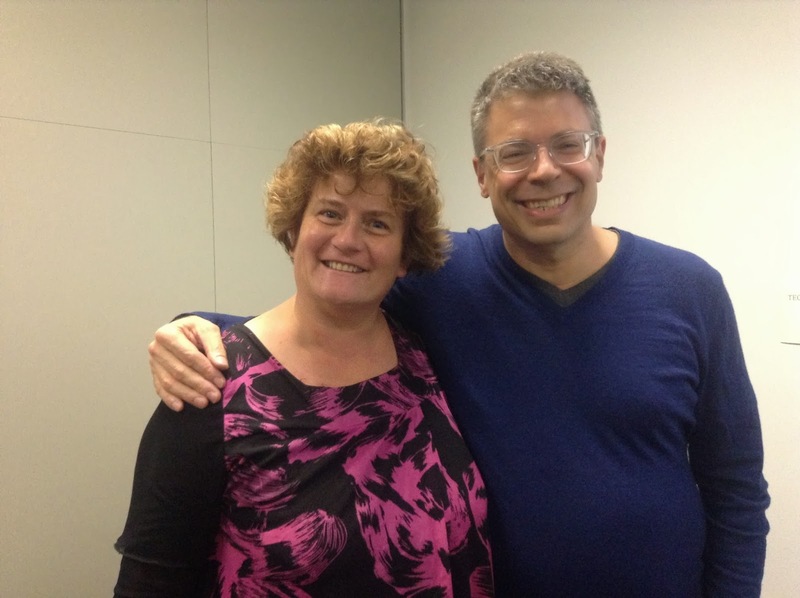 I then agreed to coordinate and run two events as I was sure that Matt Esterman @mesterman of #TMSydney would join me because we have been speaking for a while about a combined TeachMeet event. The third event which was a collaborative book project was not really planned. However the work I have been doing with Julie Lindsay @julielindsay around teachers working together on a collaborative project was the incentive I needed to say ‘Let’s do this.’ As a SOLO taxonomy educator I am aware of where I need to go next with what I do online so the book project was like the beta test. So those were the three events I committed to for October. At the same time because of my teacher inquiry, I was working with staff who were preparing for their first ULearn presentation. In addition Wendy and I agreed to work together and co-present using my inquiry as the springboard for the presentation. But ULearn14 was only one of three events that my principal and I prepared and shared at. The second was sharing for the Springboard Trust and the third being part of the collaborative educators team who wrote the #EdBookNZ. Highlights for Connected Educator Month are all listed below. But what you can see is the product. I know Pam Hook @arti_choke and Virginia Kung @ginnynz01 would say to me, “Where’s the rubric Sonya?” and “The process is more important.” and ‘How has your thinking changed?” I am also really conscious of not allowing this reflection to just being a multistructural description. So if you are reading this, then please respond below as this allows me to think more at a relational level. So where to next for me. “Politeness is the poison of collaboration,” said Edwin Land. My collaborative friend Bridget Casse @BridgetCasse was prodding working with me as we wrote the chapter on connected educator blog post. I was more excited in the working document. The challenging discussion was stimulating and thought provoking. So thinking along the learning of #flatconnect I would have each collaborators work on a wiki page next time. This allows the interested educators to see the process. We could use an unlocked google doc too, however am unsure of how secure the history would be and how long it is archived. If I was working with children under 14, I would probably use Edmodo because it is a more like a walled garden for our children. Thanks to all the amazing educators who took part, supported, proof read, gave feedback, broadcasted etc to the events below. Special thanks to the staff at Newmarket School who have joined in and are sharing their learning. Special thanks to Wendy the head learner who is willing to walk the talk, special thanks to Karen who was visible in all the events and to Julie for my global learning. To my SOLO mentors Pam and Ginny none of this would happen without your ongoing disruptive thinking. Can I see you, teacher? Listen teacher, listen to me. Don’t look away. See my eyes they hold messages that make you understand me. Are you a 21st century teacher? Are you a future focussed educator using effective pedagogy? Do you teach in a modern learning environment and use digital tools? Are you conscious of digital citizenship? Are you an active member of a virtual community and use social media to make connections and broadcast? Do you foster digital collaboration with your elearners? What?….. #halt! Let’s flip that learning? We must be connected educators because we relate with all of the above… Right? So what is a Connected Educator? Let me carry out a personal inquiry. October has been branded “Connected Educator Month”. I was determined to unpack this coined phrase. I have found dropping the term ‘connected’ a challenge, considering this has been my inquiry for 2014. I relied on connecting for this EdbookNZ project. I crowdsourced for this collaborative project using social media and invited educators to give up their precious time and to help me write a book that would debunk several current educational terms being bandied around. I envisaged we might make a difference to education by disrupting some of the current thinking taking place. Well goodness me my learning community responded. Initially I wrote a blog post to clarify my understanding and help me unpack the term ‘Connected Educator’ in readiness for sharing my learning with colleagues at ULearn14 with my principal Dr Wendy Kofoed. So if you are looking for a definition of Connected Educator then go to this link and read a carefully thought out definition there. Access the ULearn video and watch the discussion or rewind our Ulearn slides to demonstrate your connectedness. Sometimes I need a prod to help me with my thinking and that was the prod I needed. The focus for this ‘disruptive article’ is ‘Educator’. My personal inquiry has centred around connected educators at my school and my own understanding of educator has been clarified by using the term ‘connected’ educator. I now realise that this educator does not need the term connected in front. This educator does not need a digital badge to say I am a connected educator because first and foremost I am a teacher therefore I am an educator and I am a learner too. I have my teaching certificate to prove this. Each year I carry out an inquiry to show I am learning. Each year I work with another cohort of teachers and students who challenge my thinking and I, hopefully, challenge theirs. Each year I create and leave a legacy for other learners as is encouraged by the New Zealand Teachers Council. Therefore a badge is handy for this process of evidence based learning. Considering all this learning as inquiry that has taken place, should I have focussed on the educator as a learner? A large part of my own learning results from online collaboration. The online learning environment continues to shape my thinking and the connections I make shape my learning. For my reworked contribution to #EdBookNZ as part of Connected Educator Month, my topic is ‘Educator’ – I have stripped away the term connected as I believe it is not needed to describe being a teacher because to educate requires connection. It is a prerequisite. Without connecting with our learners, can we educate effectively? Without connections, can we collaborate effectively? Without collaboration can we share as effectively? I believe connectedness is one of three concepts relevant to being an educator. At any New Zealand school, being connected requires the learner to develop a secure sense of their own identity and agency to think and work towards where their potential might lie. At my school our three values are whanaungatanga, manaakitanga, kaitiakitanga. I use these concepts and their definition to frame my current thinking around Educators. In Aotearoa New Zealand an educator understands the Maori concept of whanaungatanga which focuses on building relationships with each other, the community and our children. Therefore an educator knows how to use the managed online learning tools to find people and knows how to connect with them. They think carefully about the dynamics of interactions. They use social media such as Facebook, Twitter, Skype, Google+, LinkedIn, and other tools to make connections and to build their own personal learning community. They actively seek other New Zealand educators to connect and build learning relationships with. In Aotearoa New Zealand an educator understands the concept of Manaakitanga or Generosity of Spirit. This is about developing the ability to walk in others’ shoes which includes seeing issues from others’ perspectives and thinking carefully about the dynamics of interactions. It is about cultural awareness. An educator knows how to use and take the tools from their kete to move their practice forward. They know how to get the learning needed to improve the craft of teaching. An educator uses online tools to crowdsource to share ideas and to call for help in creating resources for their learners and for other educators. Generally they are participants in learning communities and take part in twitter chats such as #edchatnz to connect nationally and globally with other New Zealand educators. 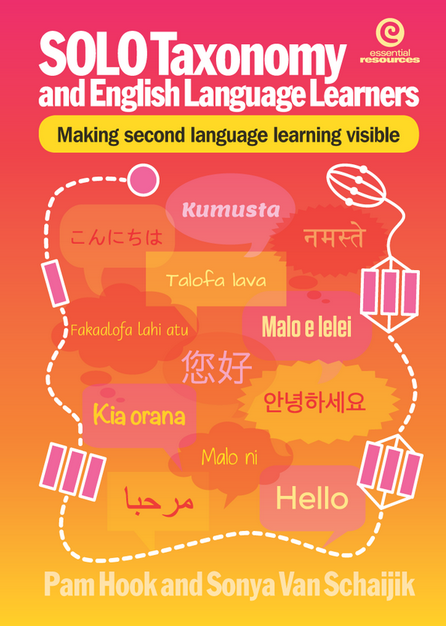 They comprehend the concept of an educational bubble and actively seek virtual chats to connect them with educators globally because they understand that sometimes the New Zealand bubble is just that, a bubble. They use a wiki, blog and or google sites as a sandbox to test their learning and show what has been learnt. They attend online New Zealand webinar such as the Virtual Learning Network monthly sessions. They participate in national online projects- such as Connected Educator Month or even better, they contribute to online projects. Even much better they take part in or create their own global collaborative project that includes their students, keeping citizenship at the heart of what takes place. They curate their own learning using Pond and make connections with other New Zealand educators to share what has been found and learnt. They know how to bring back what they have found and learnt online and share it with their school community via a reflective educator blog, a face to face discussion or via a different media. Personal learning is transparent, visible and accessible by all. In Aotearoa New Zealand an educator understands the concept of Kaitiakitanga or Guardianship for Sustainability of our world. They understand the notion of stewardship by ensuring sensitivity and thoughtfulness of actions in environments both local and distant. An educator knows how to build their community of practice so that it has active participants like guest speakers or blog authors and where everyone constructs knowledge collaboratively. They identify the voices that are silent and actively seek them out to ensure that all voices are heard. They know how to reflect on what they have learnt and make this available for all via a blog, Google Doc, wiki and or a site. They have identified video as the new text and have taken personal responsibility to learn how to craft their learning using video. An educator uses several communication tools to find people and connect with them. An educator knows how to access the learning needed to improve their own teaching. They know how to empower each other and the children that they teach to build their own learning environment. They take pride in leaving a legacy for other educators. An educator is visible online and can be identified by the work that they do with the children that they teach and with other educators through the legacy that they collaboratively create. The educator’s attitude, knowledge and skills change as they learn. The change in their thinking can be mapped. They continuously gather and analyse data of what they are doing for quality improvement. Most importantly an educator is a professional learner who creates, contributes and converses. They know how to empower each other and their students to build their own networks to learn from and use the tools and resources that are available. They have the mindset to learn from each other, with each other, from and with the children that they teach and from and with the families/whanau of their children. So, if I assess my outcome using the levels of SOLO Taxonomy; have I clarified my thinking around what a connected educator is, elaborated on and justified my definition, prodded you to rethink the connected educator label? Have I disrupted your thinking? Have I created a new way of defining connected educator? Where to next, can an educator, without access to technology, still be a connected educator? Can they not still connect with those around them? Can they not still connect with learners, family, community? Do give me feedback because quality improvement drives my learning. Prashnig, B. (2008). Pg 12. In The power of diversity: New ways of learning and teaching through learning styles (3rd ed.). London: Continuum. Late last year, I was tagged in a blogging meme by my online friend and TeachMeetINL mentor @arjana. She was one educator I did not get to meet face to face on my trip because between us we could not align our stars. But Arjana next time it will happen. Either you come to me or I come to you. I also liked the way she gave me feedback via twitter on my blogging meme. I have been procrastinating writing and have been doing everything else to avoid updating my reflections. Her tweet was the jumpstart I required. So I completed the set task and it took me three days to craft as I was away with a mini ipad to write with. I created a draft using notes and played with the idea in between swimming, sleeping and snorkelling. As soon as I returned to my chrome, I added links and finalised my first post for 2014. But I still cannot figure why because I posted the entry on our New Years day yet it states that the post happened on New Year’s eve. 11 has been a re-ocurring number for me in 2013 so I laughed at the unusual number. I had spent 11 weeks on a TeachNZ sabbatical and when I trawled a collaborative initiative that was part of my sabbatical output for last year, I identified 11 bloggers who had reflected on their contribution to the TeachMeetNZ project. I did not find it easy nominating virtual friends as who do I chose because I already read so many interesting blogs. For my part, I deviated from Arjana and focussed on New Zealand educators only and from that chose the ones who had reflected on TeachMeetNZ. I have been following the hashtag #bloggingmeme with interest and was excited to read @helenoftroy01 contribution by creating a Blogging Meme Doc to track the blog entries and to avoid a double up or more of being tagged. My initial chart using inspiration pales in comparison. Those of you who read this and are New Zealand educators, what Helen has also done nicely for me is identify some of you who I will be shoulder tapping for our next TeachMeetNZ virtual session. So be ready. You will end up with a digital badge for your portfolio and a cut 3 minute video to embed on your site. The Blogging Meme Doc has also been a motivation for me to comment on blogs that people have written. In some ways I do feel responsible for setting the beast loose on the New Zealand tweachers. I am one of those lurkers who have been reading but not commenting as much as I could be. If you are tagged in twitter, I would like to read about you and may I suggest being like @MFaaeaSemeatu and used her Blogging Meme as a motivation to encourage new bloggers to get started. I also liked the way Manu used google+ so combined two social medias to spread her meme. She tagged her nominated bloggers via google+ and also via twitter. Anne spread her #magic and responded so fast with her Blogging Meme post like within the same day. From my other nominated bloggers I have 4 who have completed the task after a few days and I will be honest and say ‘Great job’ as it took me all week from when I was tagged. I have watched @1MvdS in her patient, gentle, persuasive way gently coaxing her Blogging Meme group into writing by giving regular updates on who had completed the task and come on the rest of you. I enjoyed reading @MsBeenz entry and learning a little more about her and have @Allanahk remind us that this is not the first round that we have had something like this happen. So no great pressure @hanna_fale @SwanwickC @digitallearnin @phpnz @EmmaWinder25 @emmerw @nzteachnology @hunch_box . We are supposed to be on holiday. I like the way some of you have literally disappeared from twitter but I know it will not be for long. Anyone else reading this, if you want me to come and read your post and practice giving a comment, do tag me. I stumbed on this via @FabMomBlog twitter and have made 31 my new challenge number. Don’t worry I will not be tagging anyone to join me but it you want to do let me know. In March 2014 my goal is to write daily. Like Manu, I will tag you to come and give me feedback. As my SOLOtaxonomy mentors @arti_choke and @ginnynz01 regularly remind me, reflect on the process and don’t just celebrate the product. Stop procrastinating and just get on with the task. I have made better connections with New Zealand educators because part of the meme asks for 11 facts about you. Something as simple as this can generate collaboration like the Blogging Meme doc. We can use other social media in the task and not just twitter to celebrate the product. What meme could I create to encourage blogging? What ideas do you have? How to embed a tweet? Thanks to @SchuKnight who willingly shared this little gem. How to change the date on blogger to reflect current time? Thanks to @annekenn for this other little gem. This Saturday I will be presenting at #RSCON4. The date and time of my session is Saturday, October 12, 2013 12:00 PM (Pacific/Auckland). However you can access the site and locate when this is in your time zone. I will have just returned to Auckland after having presented #TeachMeetNZ at the National ICT conference #Ulearn in Hamilton. I recently returned to New Zealand on the 2nd of October after having been away for 77 days. In that time I travelled on 15 Flights, 44 trains, countless hours on buses and in cars visiting 13 Countries on 3 Continents and meeting 28 amazing educators educators and visited 18 learning institutions and schools and attended some face 2 face professional development. I kept in contact with my colleagues via Instagram, Twitter and email. I also kept a blog and an off line journal and took over 4,500 photos. My presentation will focus on my TeachNZ13 Sabbatical, which allowed me to establish connections with educators around the world. Schools in Europe and then in Asia were visited and different learning environments observed. The educators who allowed access to their domain were educators who have had a history of sharing professional practice and some use Technology in Transformative Ways. The Slideshare Headquarters in Delhi. The annual Google Apps for Education Summit in Seoul, Korea and a visit with a school running 1:1 iPads with Grades 3 & 4 children. Take away from this session some ideas that could be used in your own schools, details for where you can read more about the different projects and make connections with the educators involved. I look forward to you joining me virtually as I share my Face2face journey of my round the world experience. I created a copy of my presentation in video format.